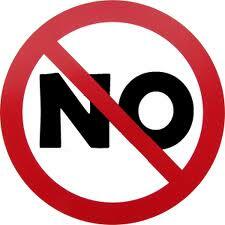 Would you like to Never Get a NO from your home business prospect? How would you like to go into the recruiting mode and not get a NO from your mlm prospect? Would learning how to lessen the Nos in your business help you in network marketing? There are many ways to sponsor and recruit. But there are also SECRETS of recruiting that can help you get more yeses then you ever thought possible. The power of recruiting comes in your words and APPROACH to the the process. The focus you have in the recruiting process will play heavily into the results that you get in your efforts. What if you could feel GREAT when you called your prospects knowing you were going to get more YESES then Nos? You can, and WILL if you focus on the right things. The word YES is what most people are looking for when they recruit. and often they get the exact opposite. And that is why many people cannot recruit. They take the last NO into the next conversation and then gets the same result. Ok…How can you NEVER get the word NO? There are many secrets that you can use, and this post we are going to go over one secret that I KNOW will help you in not getting the word NO. Connect online with more prospects. Watch your network marketing business EXPLODE. Yes, you read that right. NOT getting a lot of Nos can empower you and elevate your focus and expectations- which the prospects will FEEL and respond to in a positive way. And that is what you want- a POSITIVE response to your message and offer. You will no longer FEAR the word NO. It will become a non issue. •1. Look Past the Prospect- Recruit THROUGH them. •You MUST look beyond the prospect. 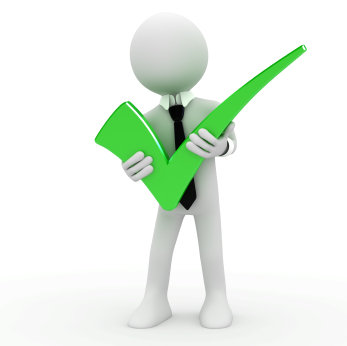 This means that you need to look at who the prospect knows and likes and has credibility with. •Recruiting THROUGH someone is a KEY. It is one of the greatest tactics that will accelerate your recruiting. •It is about who is STANDING BEHIND THEM. •NOT in front of you. And if you ask for an introduction to who they know, then you will hear the word NO much less in your mlm network marketing home business. The Right Person in MLM. Have you ever looked for that illusive RIGHT PERSON for your network marketing home business? 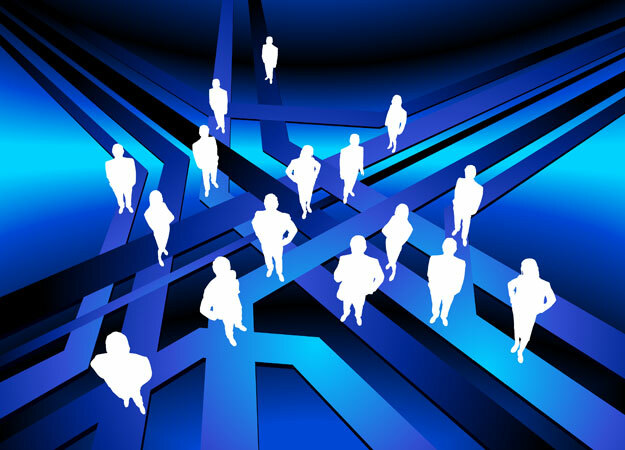 have you found them yet for your mlm business? Are you looking for HOW to find those right people that everyone talks about for your home based business? Everyone wants to find that person, and wants to recruit that person for their mlm business. But most never really find the right person as they do not know what to look for. Many people end up looking for the “Wrong Person” and recruit them into their group. Now that is smart. NOT. The Right person for MLM is out there for sure. But they are NOT going to walk up to you and tell you that they are the right person. They may not even talk to you. Many people BELIEVE they have found the right person but in reality, they have fond an EXCITED person that has no clue of where they are going in life. Many people do NOT have a clue of where they are going, but they are excited to start the journey. Those people usually fail in this business. Bummer. Ok…then how do you identify them? We have found there are 7 powerful traits that the Right Person has, and you must start to identify those traits in people. What are the 7 traits that you look for? The Right Person MUST be dissatisfied with SOMETHING in their life. That is critical. It could be with their job, or their income, or their place in life or lifestyle. 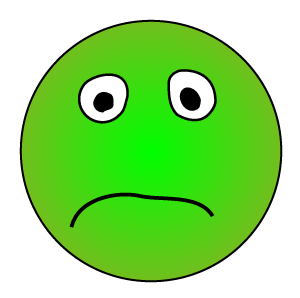 It can be many things, but there still must be Dissatisfaction with SOMETHING in their life. The Right Person likes people. They like to be around people. They like to be talking to people, or at least listening. And they like to be connected to people as that is what makes them who they are. Hermits do NOT do very well with a home business. It does little good to be Dissatisfied with something and not have a DESIRE to do something about it, and move PAST IT and ABOVE IT. A Desire for MORE in life with your home business prospect is critical and a MUST HAVE for success in a home business. 4. Open to New ideas. The Right Person s OPEN to NEW IDEAS. Many people in the world are not open. They MUST be open to listening and learning about them, and show interest in what they are. If they are NOT open, then odds are, they will not come into your business. TIMING is EVERYTHING. We all have heard that before. But it is IMPERATIVE for the right person to have the right timing- NOW — and not later. NOW is the key element as far as the right person’s ability to DO SOMETHING NOW. This goes without saying. The Right Person is a LEADER and practices Leadership in their life. And if they are displaying Leadership traits, and not in a position for Leadership, then show them you can help activate their Leadership in their life with your home based business. The Right Person is a “Solutions Seeker” and is seeking solution for a BETTER life, a BIGGER life, a BOLDER life, and a more ABUNDANT life. They read, they attend webinars, and they ask questions looking to find the key to MORE in life and powerful solutions to a BIGGER life. These are the 7 Traits for the right Person that you want to recruit into your mlm network marketing home business. FREE Social Recruiting ebook- Social Recruiting Power- over 50 secrets. MLM Training Household Income Down in 2012. Do you know anyone that’s income is down when you talk to them about your home business? Is YOUR household income down regardless of your network marketing business? What statistics and proof do we have for our mlm business that PROVES household income is down? Click here the best jupiter roofing company protecting your building and everything within it. Median household income is still down from the end of the recent recession. Only about a quarter of the 6.1 million workers displaced from 2009 to 2011 found new work that paid as well or better. Incomes have dropped more since the beginning of the recovery than they did during the recession itself, when they declined 2.6 percent, according to the report, which analyzed data from the Census Bureau’s Current Population Survey. The recession, the most severe since the Great Depression, lasted from December 2007 to June 2009. These are some great statistics for all mlm network marketing home business. I rarely endorse anything but this tool is special and affordable and PERFECT for the Home Business Professional! Now You Can Make Sales and Signups and GET VIRAL TRAFFIC with videos…. I have been looking for something like this for years and this is a game changer! What if you could take your company’s videos from YouTube, and then embed your own buy now link into the video? What if YOUR Video with Your purchase button had your own viral links to pin it on Pinterest, post to Facebook, Twitter, and LinkedIn? What if your prospects could opt into your newsletter from within your video? I told you this was a game changer! Embed Your Order links or Enrollment Links on videos….. This works with any YouTube videos or even your self-hosted Amazon S3 videos and more! You can even eliminate the YouTube logo and replace it with Your Branded logo! Are you closing 80% of YOUR mlm prospects? Are you closing even HALF of your home business prospects? Would you like to know WHY you are NOT closing more prospects then you are in your network marketing business? Most people in a home business do NOT realize that CLOSING of your prospect is WHERE YOU GET PAID. Yes, approaching people is a MUST. And presenting or educating is a must as well. If you are NOT closing your prospects after all the effort to get them to the close, you are wasting your time and wasting your efforts. 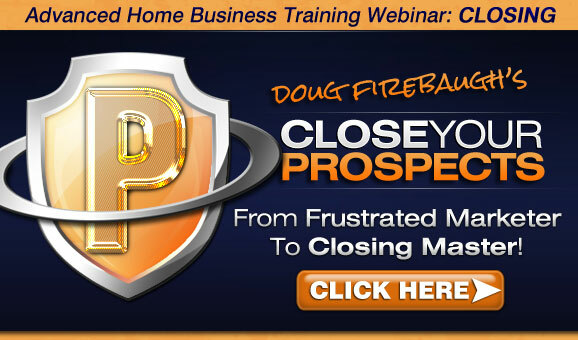 By the way- check out Close Your Prospects Mastery Webinar! It will help you CLOSE your prospects and you will learn over 100 secrets to Closing Success! Move from a Frustrated Marketer to a Closing Master- NOW! What are the issues with Closing that most people are facing and costing them a TON of business? We have done a lot of research over the years and it does not matter whether it is online, offline, social media, mobile recruiting….does not matter. We have found there are many reasons why people are NOT closing 80% of their prospects. You mean that you CAN close 80% of your prospects? Yes. I did that for a season in my business. I closed 26 prospects IN A ROW in one month. And there were times that it actually was a little higher. Why do not most people do that? It is possible, but most do not see it possible. We have found there are three main reasons why people do not close 80% of their prospects and it really does not have to be that way. 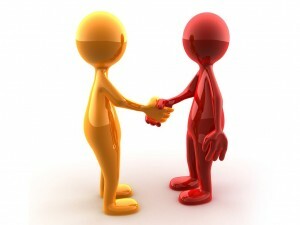 You MUST get your prospect into agreement with you if you are going to close them. 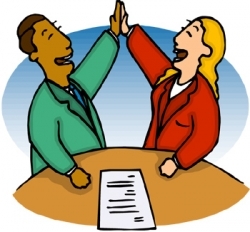 You use “Agreement Questions” as you will learn on the Close Your Prospects Mastery webinar. Get the prospect to AGREE with you, and they become easier to close. 2. Lack of Transfer of Belief. All closing is, is a transfer of belief in the product or business. 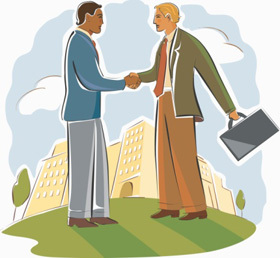 Most distributors do not focus on transferring their belief, but creating a transaction. That is going to make closing that much more difficult. You must use “Belief Statements” to close a prospect. 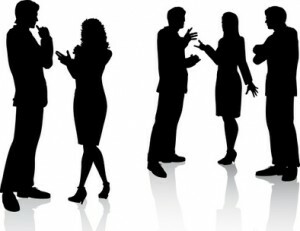 Many distributors never take the time to CONNECT the prospect EMOTIONALLY to the business or product. Many are too busy trying to get the prospect to DO SOMETHING versus FEEL Something. Connection is simply getting the prospect to RELATE to what you are saying. Are YOU closing 80% of your prospects? If you are not then I would suggest attending the Close Your prospects webinar for your mlm network marketing home business to help you become a Closing Master! Free Social Media Recruiting ebook- Social Recruitin g Power- over 50 secrets! Do you have an issue with closing your prospect when it comes time to do that for your home business? What is YOUR biggest struggle with closing your mlm prospect? Do you have a knowledge of closing that works EVERY TIME with your network marketing prospect? Closing is simply a FOCUS or a MIND SET that most people never develop. But it is also tactics and strategies. And there are many different tactics out there. It will teach you over 100 Closing Secrets, tactics, Strategies, Mistakes and how to correc them and more! There are many things I have written about “closing” in the past, and today wanted to share some ideas I penned several years ago that is totally applicable to online as well as offline, and even social media. The Decision is where the Involvement is either crystallized or told goodbye. your Prospect, you will think that you have LOST. But in reality you have SUCCEEDED! The Master MLM Navigator Questions. What you have done is create an environment TO HELP THEM MAKE A DECISION that will lead them to your mlm network marketing home business. FREE Social Recruiting ebook- Social Recruiting Power-over 50 secrets!